Beautiful 3500 Square Feet of Luxury!! Our spacious family villa features 3500 square feet of luxury living space with 6 bedrooms and 4 bathrooms which can accommodate 16 comfortably. Our South facing screened in swimming pool with attached spa and a covered patio area is perfect to watch the sunset, watch your favorite television program or listen to your favorite song on our Sonos music system. You can BBQ on our gas grill while watching the kids swim in the pool! 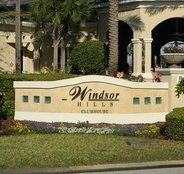 Our private villa is one of the largest corner lots located in the Reserve section of Windsor Hills. 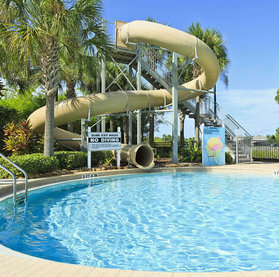 Windsor Hills resort offers a lagoon style pool with a Brand New Huge water park and hot tub. 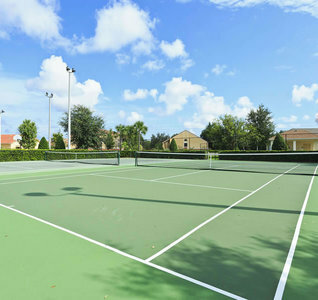 They also have game room, fitness center, movie theater, convenience shop, basketball courts, sand volleyball court, 3 themed playgrounds, putting green and tennis courts. This is all included at no charge with the rental of the villa. Cancellation: Can cancel 60 days prior to the check in date for a full refund. 5 Star Rated Luxury 6 Bedrooms 4 Full Bathrooms 4 King Bedrooms, 2 Double Twin Bedrooms. 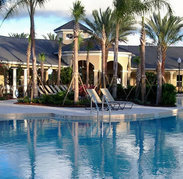 - Private Pool and Spa with Screened Lanai, with Child Safety Fence. -Fully Screened in Patio/Lanai with Outdoor TV and Dining Area. - 65" 4K UHD Smart LED TV in Family Room, HD Flat Screen LED TV in each Bedroom, 50" LED HDTV in Games Room, HD Flat Screen LED TV Outside by the Pool & Patio Area. - Air Conditioned Games room with Regulation Slate Pool Table, Foosball Table, Lifetime Basketball Challenge, Xbox One and Xbox 360 Games System. -FREE Stainless Steel BBQ Grill. - FREE 100MB High Speed WiFi Internet Access Inside and Outside of the Villa. - New Beach and Bath Towels and Bed Linens Included. - No Check In Required Secure Keyless Entry to the Villa Anytime!! - Security Alarm System on All Doors and Windows. Beautiful home; wonderful experience; owners who really care about their home! 5/5 Stayed �Jan� �2019 Karen I. Beautiful home and accommodations! Everything was as described with high quality beds, bedding, towels, etc. Lots of space for large families. House temperature was perfect! Lots of very nice dishes, glassware, flatware, pots and pans, everything you�d ever need to prepare meals; spices even provided. Beautiful, clean appliances. Very large capacity washer and dryer. Games room was great; big and little kids loved it! Strollers, car seats and even a cooler there for our use! Wifi very good. 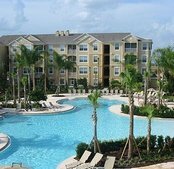 Pool was spotless and heated, pool toys and lots of towels readily available, lots of seating area and furniture around the pool. BBQ clean and ready for use. Very clear instructions provided for arrival and departure. Security was excellent for the home and also for getting in and out of the resort which was very comforting. The water park was also beautiful and so much fun! Watch out for that water bucket though�! 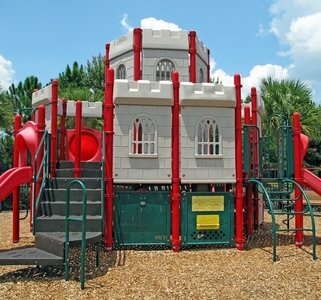 Very nice play park also close to the home. 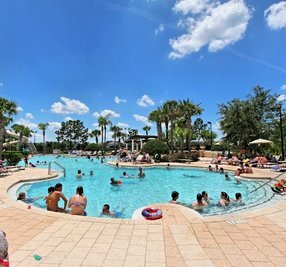 Very close to Disney, only minutes away. Lots of shopping and restaurants very close by. So thankful we found this home. From when we first contacted Christie a year ago, until we finished our stay, Christie was so easily accessible for any questions or concerns. She provided her phone # which we could call or text at anytime during our stay and she replied immediately. Never have felt owners interested in our experience like that before. Our security deposit was returned within a couple of days. I would highly recommend this beautiful home for anyone interested in top quality accommodations. Thank you Christie!! A great deal of credit to Bill and Christie for providing a superb villa as the base for our family of 10. I can�t speak highly enough of the layout, cleanliness and fantastic position in relation to the Disney parks, restaurants and supermarkets. The bedrooms, games room, kitchen, lounges and pool area could not be improved on in terms of comfort and equipment which made life so relaxing after a tiring day at the parks. In a nutshell, congratulations to you both for providing the best villa we have rented over past 10 years. Fantastic stay from start to finish 5/5 Stayed �May� �2018 Rebecca W. A beautiful villa in a fantastic location, with lovely owners - this made our holiday perfect! The villa has all the home comforts and much more...from the reclining sofas, super king beds and the pool and Jacuzzi spa all help make a long day at the parks even more relaxing. Christie not only ensured that everything you need and more is in the villa but, it also has things to help make day trips even better, from beach towels to cool boxes and beach chairs and umbrellas, all these were great to use. The villa was a fantastic size for our party of 10, it's very spacious, and we loved the modern touches throughout from the large smart TV to having a Sonos music system. 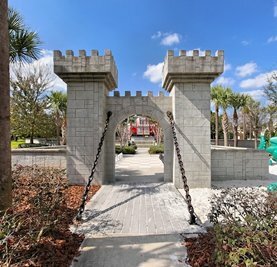 The location of this villa is excellent, Disney was only a 10 minute drive away, a huge Wal-Mart only 5 minutes away and many of the popular Florida restaurants just round the corner. We would definitely recommend this villa, we felt very lucky to stay here.